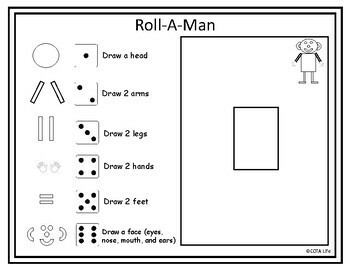 Roll-A-Man Dice Game is a fun activity for kiddos when learning to draw a person. There are two sheets with this resource. One allows for complete drawing while the other has the rectangular body as a starter shape. 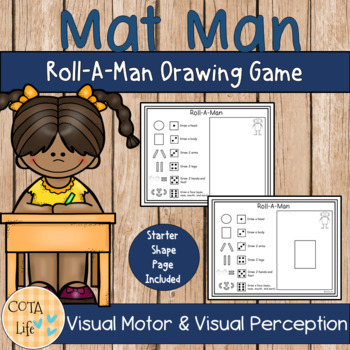 Try this game in the classroom, therapy room, or home school for a fun way to address body awareness.